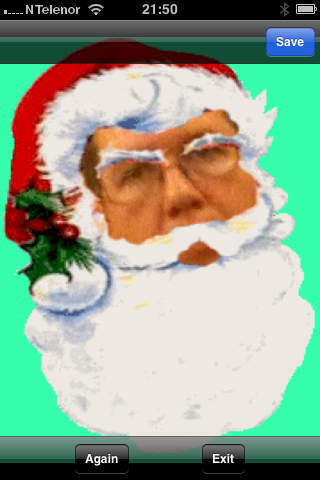 SantaMe overlays a camera image into a Santa template. Produces fun father christmas pictures. Great for parties. 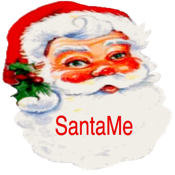 Aim the camera at the person you want to turn in to Santa and use the real time overlay to get the positioning correct. Snap and bam, instant Santa.